Sad news. Pete Seeger shuffled off his mortal coil this evening; he can never again answer the curtain call of his audiences, which I imagine would have better be described as an awestruck and grateful union of friends whenever he gathered them in his presence. Pete must be understood as an anachronism- a man out of step with his time. He carried himself with the gravitas of the Old Testament patriarch yet was possessed of an unconditional love- an almost “matriarchal” masculine energy that comes from a future as yet unwritten. Although his political convictions were divisive for many, he will be revered and remembered as a voice with a purpose. His was a life that forged an lasting impact on all of us. His beliefs, just as much as J. Edgar Hoover’s, provided the polarity required to power us forward as a species. When Nelson Mandela fell ill in May of 2013, I blogged about the decline of the immune system that is at the root of aging. Pete was 94 and Mandela was 94 when they passed away. Jack LaLanne was 96. But the common denominator is that they all had run through their T-cells over time. This only proves that you can have the love and adoration of a generation of American baby boomers, the great karma of a civil rights leader, or the perfect temple that was the body of Jack, but without a functioning immune system, you will not get out of here alive. Watch the video below to understand why Aging and AIDS are really the same disease. As a patient of mine, we offer a test to measure how much T-cell reserve you have remaining and it costs only $250. We will miss the mellifluous tenor voice, 12-string and banjo that could, like no other, so masterfully strike deep chords with the better angels of our nature. 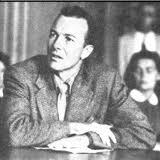 Rest in a well-deserved peace, Mr. Seeger. You can finally put down your hammer. You did what you came down here to do and we are forever grateful that you had the courage to live a life that bled from that giant heart worn right there on your frail denim sleeves.